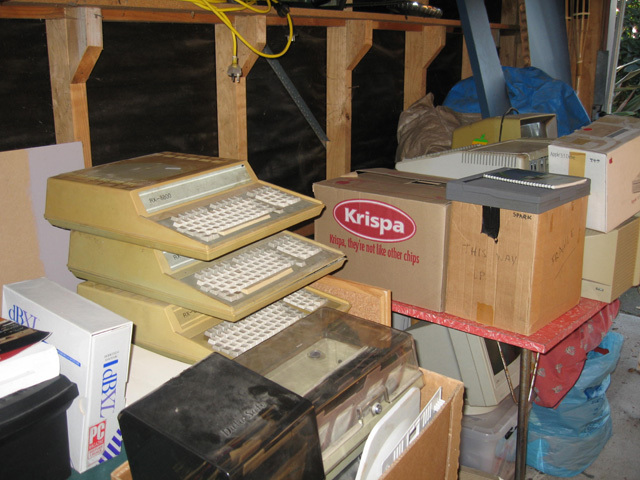 Recently an acquaintance of mine, an Apple II enthusiast in his time, heard through the grapevine that I had a small vintage computer collection. He had a load of old gear cluttering up his shed. Was I interested in any of it? Of course I said yes. Even if I ended up tossing most of it eventually, you never know what historical gems might be in the stash. Listed like that it looks like a treasure trove. Well, it would be, but these micros haven't seen any TLC for some time! A brief inspection of the computers showed most had been hosting families of mice (the four-legged kind) for many years. Computer cases make ideal homes for these rodents. They are safe, they are warm, there are lots of small spaces to nestle in. Mouse nesting material, dried urine and feces, rust, and grime typified both the inside and the outside of these machines. One computer was even a mausoleum for a mummified mouse corpse! Not a pretty sight and in fact, it was quite sad to see these once proud machines in this state. I've fired up three so far; the Platinum, Europlus and the unbranded clone. None worked which, given the condition, was pretty much what I expected. The software and books were in much better shape (maybe they had been stored somewhere else), as were the cards. There was also stacks of disks, condition unknown for now. So, a restoration challenge awaits. However, I'm still pleased with this donation (thanks Bruce). One thing I do enjoy is bringing back old hardware back to life and restoring it to its former glory. 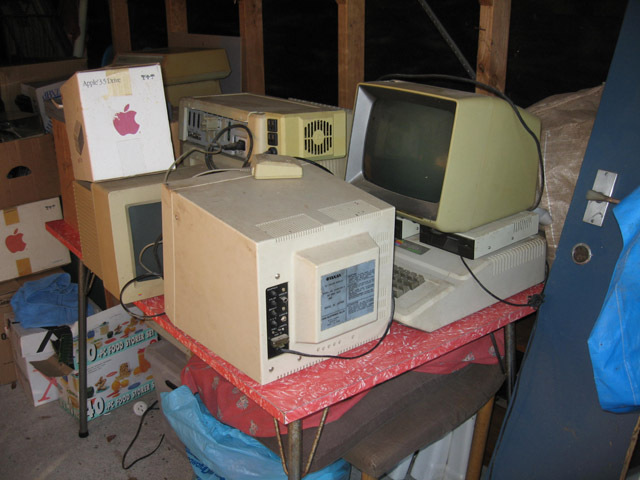 I'll be happy if I can at least get the Europlus and the IIe Platinum working. If I can do it, those two will go into the collection. Anything else is a bonus and I can dispose of or sell that which I don't want. Working through this pile is the next big vintage project. I'll document progress on the blog as I go.